Through this program, Rudi International promotes access to quality education for children and adults who would have not had such access otherwise. Through various projects and thanks to the partnership of individual and corporate donors as well as local schools in the communities we serve, Rudi Education strives to meet the needs of the students in providing tuition, school supplies, uniform, or a combination of those. The program also comprises projects that aim for the integral development of the students through field trips, holiday celebrations, and scientific excursions. 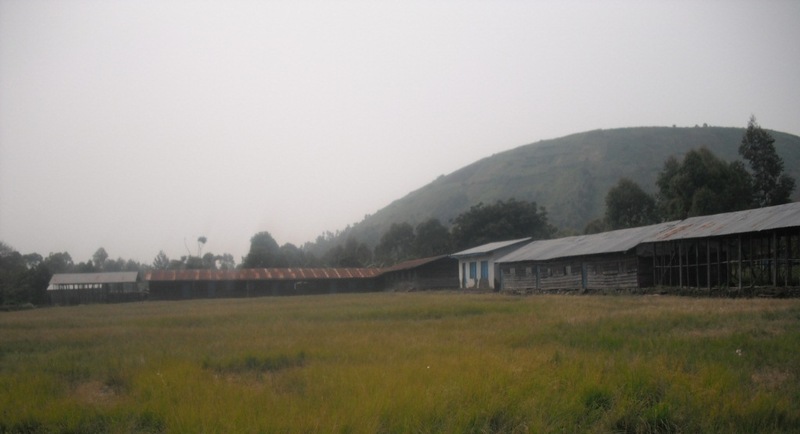 Rudi International is based in Goma, the eastern side of the Democratic Republic of Congo. This region is the most war-torn region of the country since decades now. The Education program has projects in the DRC right now, but the goal is to minister to children all across the continent of Africa. The idea came since the creation of the organization because our aim is to improve people’s lives in conflict-affected regions of Africa. Sometime in July 2012, a year after Rudi International was created, Arsene Tungali, our Co-founder and Executive Director who was then a university student in Agronomic Sciences went to the surroundings of Goma for a research project. This project took him to a small rural community not far from the city where he came across a public school and was interested in knowing how people in this region were doing with regards to sending their children to school. He met with some of the school leaders in the area. The leaders explained to him how difficult it was for the parents to pay for the children to stay in school and how this was resulting in dozens of children being sacked out of school almost every day. Since this is the very nature of the needs Rudi International was created to respond to, Arsene went back home and suggested the creation of the Rudi Education scholarship program. We always wanted to take part in the change we want to see happen in the Africa; one of the ways to make this possible is to invest in the future of this content. Through the Education Program, Rudi International is working with wonderful children who had lost any hope for a bright future because of the conditions they are obliged to live in. The first day we met with their families, one could hear that they had no hope for a future and that they just waited to see what other kind of evil the next day would bring them. We are proud to say that, starting from the first year of a close relationship with the kids and their families, we started seeing them embrace a more positive view of their future. They now have brighter visions for the future because we have been teaching them about being a visionary, pointing them to the Creator, their Creator; giving them examples of visionaries and other world leaders who have inspired generations. Beyond paying for their school fees, our purpose is to create a new generation of young people who will be able to build a better future for their nation. Rudi International works through donations from friends, classmates, co-workers, co-visionaries, and colleagues who trust us and who are ready to journey with us towards the change we are working on in Africa, in general, and in the Democratic Republic of Congo, in particular. Numerous generous donors from every corner of the world to whom we are very thankful have been supporting the work of Rudi International since its creation. In most cases, Rudi Education matches specific sponsors to specific children. The sponsor supports the child through single or multiple donations. In addition to covering tuition, school fees, and school supplies for the children, we also hold afterschool activities that sometimes require additional financial support. Moreover, thanks to our partner organizations in Education, Adopting Divine Moment, and Love More Foundation, our outreach is much broader and our network of supporters goes farther than we could have imagined. The children need to have proven the ability to succeed in school. We invest in the brightest of their class so to encourage them to do even more but also to encourage the others to do better in order to probably benefit from the scholarship as well. The children need to be from a family with no sufficient and regular income to keep them in school. To be honest, the large majority of families in the area is without employment and would need support to keep their children in school. But we always check on the school payment book to find out those children who are lagging behind in tuition payment to the school. The next step after selecting the initial group based to the school payment records, we go and talk to the families to make sure they have a proven problem that does not allow them to pay the school fees on time. As of the day this article is written, we have been with these children for over 6 years. The selection process has proven efficient so far. We keep monitoring the method and seek for ways to improve it when needed. We, at Rudi International, are very grateful for the trust we have from our network of supporters. We are determined to preserve your trust. For the 2018-2019 school year, with USD180 you can send one of the children to school for one year with tuition, school supplies, and uniform paid for. Will you consider donating here today? Are you interested in the history of the Education Program? We do record the chronicles of the Rudi Education program on a special page.